Smash burgers are so simple to make. They are basically the home version of greasy-spoon, diner style burgers. Smashed thin on a flat-top griddle or cast iron pan, and dressed simply to your choice of toppings. We will NOT criticize you for adding ketchup / catsup. Smash burgers are very personal so do what you like! Some ground beef – I like 85/15. Sautéed onions are optional too. A quality bun (I like Maier’s Kaiser Rolls). 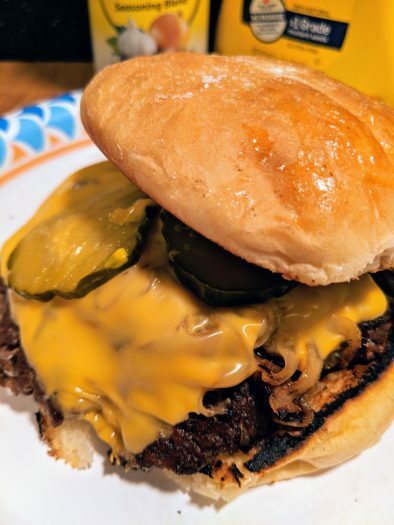 – assemble onto buns, add condiments of choice, and enjoy your 2am diner style burger!